Its’ Not What We Do, Its’ How We Do It! The InStore Group was born out of an acquisition of a small regional retail merchandising company in 2013. Since that date, the company has been on an epic growth ride. Today, The InStore Group under the leadership of its’ founder Tom Palombo, is a full service nationwide retail merchandising organization servicing all 50 states. We owe huge thanks for our rapid growth to our customers. We focus every day on executing their merchandising goals in all the major retail channels. We strive daily on delivering to them an exceptional retail service experience. When you become a customer with The InStore Group, you will see immediately we focus on three major goals. To execute our customers merchandising initiatives to grow their sales, profits, and market share. In 2017, The InStore Group was a recognized award winner by SmartCEO Magazine, as one of the 50 fastest growing mid-size companies. The Future 50 Awards winners are those companies that embody the entrepreneurial spirit critical for leadership and success. Retailers and manufacturers across all channels of the retail industry partner with The InStore Group. They’ll testify that when you work with InStore, you’ll be working with people who are experienced, knowledgeable, passionate and the industry’s most reliable retail service organization in any channel in all nationwide. Our services are designed to drive customer satisfaction and bring out the very best in any retail environment. Our On-Demand retail merchandising mission is very simple. We deploy our retail associates in stores across America, to execute merchandising initiatives that grow our customers’ sales, profits, and market share. 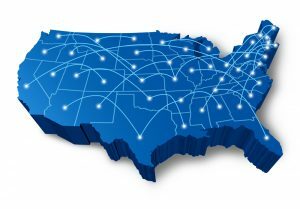 We service every major retail channel of distribution across all 50 states.